From left, Jeremy Scheffer, Will Bronson, and Noah Mayrand with 10 or 12 102-count bags of Spearpoints ready for market. As the pressure on natural resources grows worldwide because of population growth, so is there an increasing urgency to find ways to supply people with what they have come to expect, and food is at the top of the chain. It’s a problem so vast that it’s hard for many of us to wrap our brains around it. Done correctly, aquaculture is remarkably sustainable, especially with shellfish and seaweed, which require no food and can actually improve their habitat by filtering or consuming nutrients that threaten the quality of the water they live in. On the Island, the evolution of aquaculture has taken time. 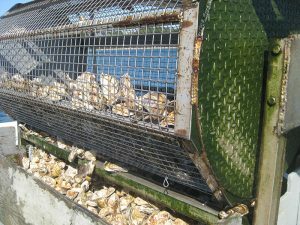 In the late 1950s, a young marine biologist named Carey Matthiessen moved to Edgartown, hoping to start an oyster farm, but the town wasn’t ready for it, and he moved on, eventually to Fishers Island at the east end of Long Island Sound, where he founded Ocean Pond Corp., raising both seed and market-ready oysters. Nearly four decades later, after boom and bust in offshore fishing, aquaculture didn’t seem like such a radical idea, either to town officials or to enterprising individuals, some of them fishermen who’d been displaced by dwindling stocks and escalating regulations offshore. In 1999, Jack Blake of Edgartown first marketed oysters from his Sweet Neck Farm in Katama Bay. Mr. Blake built his operation from scratch, designing and fabricating gear that wasn’t commercially available, like the upweller that boosts the growth of baby oysters, and the tumbler that cleans the oysters before they are sorted and packed into boxes, bottom (cupped) side down, so they don’t lose the brine that contributes to their distinctive flavor. For the past several years, Roy has been joined by his son Jeremy, who also has a grant in Katama, and with whom he shares gear. And there’s more: “I have three out of my five children working with me,” Roy said, mentioning younger children Martha and Noah. 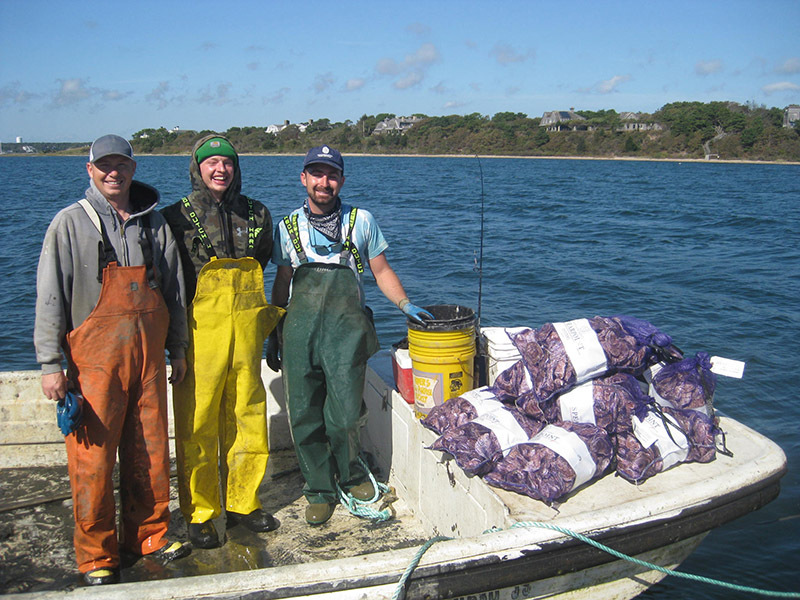 Another son, Isaiah, the shellfish constable for the town of Chilmark, is also working to make local waters healthier and more productive. For Jeremy, it’s been something of a surprise to end up where he has. “I thought I’d be in a city somewhere,” he said when asked where he imagined 10 years ago where he’d be today. “In a suit.” Nowadays his outfit includes boots and foul-weather gear, and his cubicle is a couple of rafts in Katama Bay piled high with equipment and cages, and open to the elements. There are 12 farms, each one acre in size, in Katama Bay. Taken together they make up one percent of the area of the bay, which is the maximum apportioned to aquaculture by the town. Edgartown is considering a proposal to add eight more oyster farms in Cape Poge Bay. Elsewhere on the Island, Chilmark has allotted 10 farms on Menemsha Pond, six of them active. In Oak Bluffs there is one farm, Cottage City Oysters, off Eastville Beach. There are no farms currently in Aquinnah, West Tisbury, or Tisbury, although the latter is developing regulations for potential farms in Lake Tashmoo, according to shellfish constable Danielle Ewart. There’s a market for wild oysters from Tisbury Great Pond, but because the pond is often closed during summer, when demand is greatest, and iced up in winter, it doesn’t lend itself to oyster farming, in the opinion of constable Ray Gale. 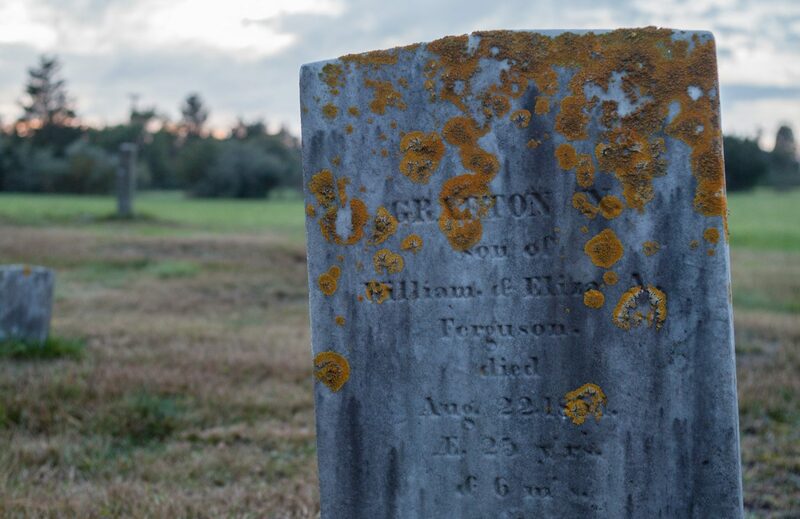 It felt like heaven during a noontime visit to the Scheffers’ operation on a balmy October Friday, but it didn’t take much to imagine a bitter day in late December or in February or March with the northwest wind building, or sleet needling your face thanks to a determined easterly. And you’re not just on the water, as the saying goes, you’re just about in it most of the time — the freeboard on the rafts barely exceeds one foot. Along with hard work, it takes persistence to start and maintain a farm. Before a grant is permitted, the DMF must survey the bottom to make sure it is free of eelgrass (a threatened species) and other shellfish. The town must also approve a grant, which is not always automatic given occasional pushback from waterfront property owners who complain about having to look at what they imagine to be unsightly fishing gear. The rewards are not only restricted to financial profit, however. If you like to be outside, work for yourself, and provide healthy food sustainably, it’s an attractive proposition for some people. “It’s also a way to maintain our maritime tradition,” said Dan Martino, who apprenticed under Jack Blake (taking his pay in oysters) before starting Cottage City Oysters with his brother Greg. There’s enough demand for Martha’s Vineyard oysters, Dan believes, to support many more farms here. Indeed, nowadays it’s not unusual to find Nic Turner’s Honeysuckles or Jeremy Scheffer’s Spearpoints or Matt Mayhew’s Menemsha Creeks on the menus of some of the finest restaurants up and down the East Coast — not to mention Island eateries and fish markets. This story by Whit Griswold originally appeared on mvtimes.com.